Poet and author Jet Widick has written two illustrated poetry books Sage Words (August, 2016) and Sage Spirit (February, 2017), both hand-lettered by California artist Kimberly Taylor-Pestell. 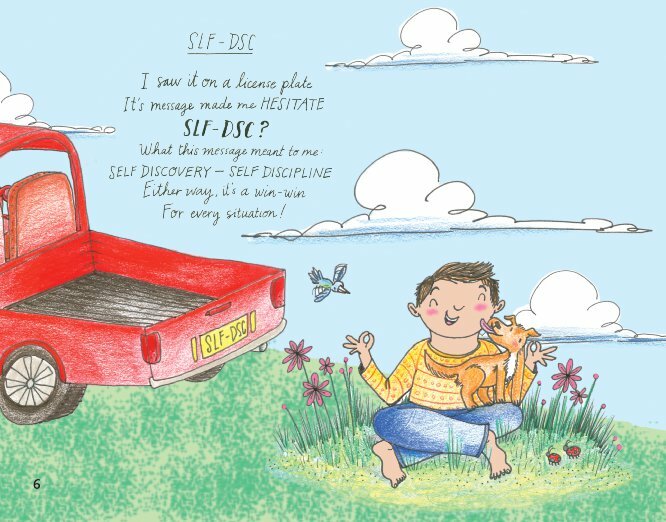 She has also produced a Poetry In Motion series of animated poems excerpted from her Sage books. Poetry has always been an essential part of Jet Widick’s life, but it wasn’t until her celiac diagnosis—after 15 years of living with a mystery illness—when she discovered how emotional strength and good health can open up one’s world to inspiration and desire, both which propel a person into the realm of possibility and shift the way we perceive our own capabilities. That’s where the name Jet comes in. Her sons gave her the nickname (short for Jeanette) once she became healthy and transformed herself; destined and determined to grow into the mighty oak tree from the acorn. The name embodies her journey of self-exploration, fueled by her love of nature, and taking off with tremendous creative energy and vitality. 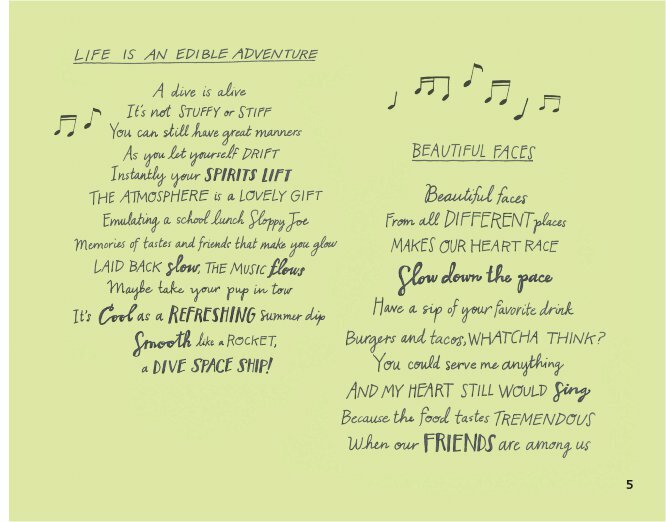 Jet Widick’s complex, yet simple poetry is a reminder to live in the moment and to wake up to nature’s everyday miracles. Her poems are full of warmth, conscience, fortitude and whimsy, and cover a range of themes that reflect the lovely little things that make up our everyday lives—which so often go unnoticed—yet are truly the most important ones of all. 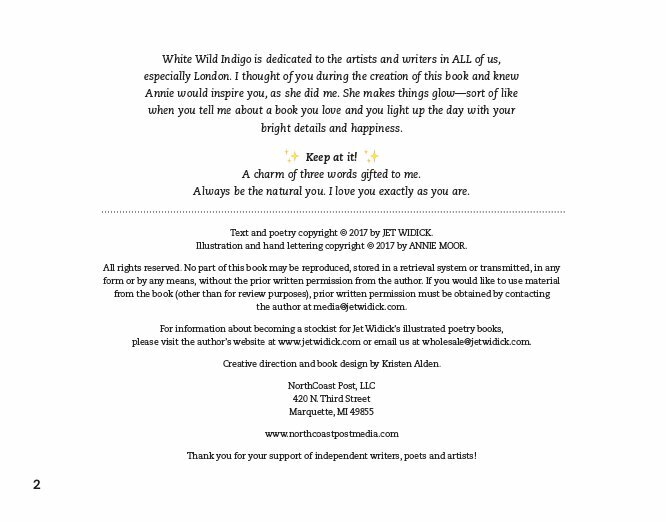 White Wild Indigo is both a children’s book and an illustrated collection of poems for adult readers. Author Jet Widick writes in a casual and playful tone that centers around our everyday experiences and taking delight in the present moment. 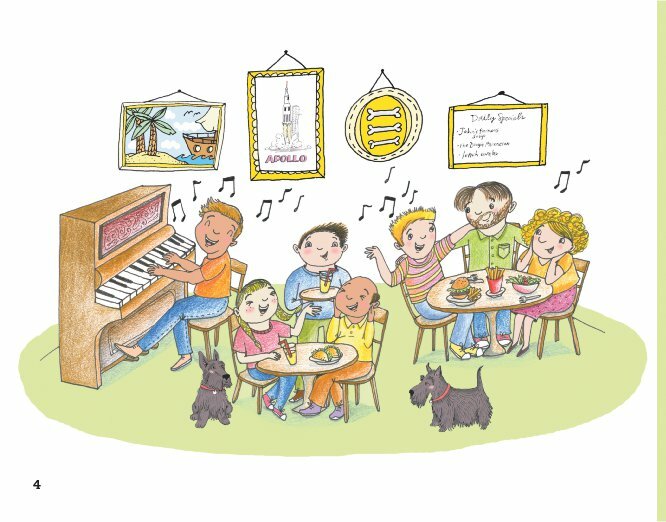 This book is a celebration of these moments in catchy rhymes and wordplay, brought to life by Annie Moor’s bright and cheerful illustrations. 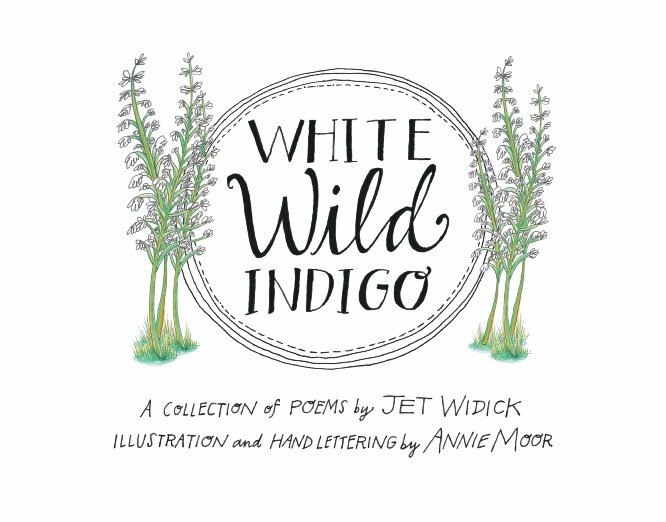 White Wild Indigo is both a children’s book and an illustrated collection of poems for adult readers. Author Jet Widick writes in a casual and playful tone that centers around our everyday experiences and taking delight in the present moment. This book is a celebration of these moments in catchy rhymes and wordplay, brought to life by Annie Moor’s bright and cheerful illustrations. Jet Widick's poetry is a colorful mosaic of life experiences: the places we’ve been, the people we meet, and the things we love. 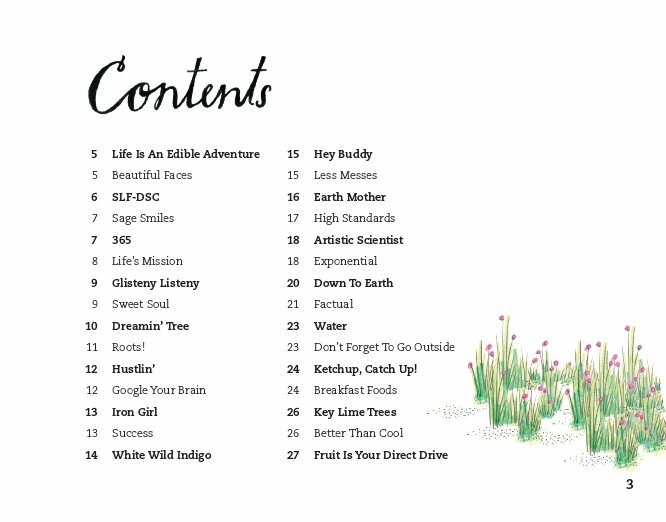 Featuring a treasure trove of humorous poems about our favorite foods to glittering gems about science and art, every child who opens this book will find a whimsical world of surprises to inspire a lifelong love of poetry.